The following are definitions of both democracy and republic (from Microsoft Bookshelf ’95). 1. a. A political order whose head of state is not a monarch and in modern times is usually a president. b. A nation that has such a political order. 2. a. A political order in which the supreme power lies in a body of citizens who are entitled to vote for officers and representatives responsible to them. b. A nation that has such a political order. 3. Often Republic. A specific republican government of a nation: the Fourth Republic of France. 4. An autonomous or partially autonomous political and territorial unit belonging to a sovereign federation. 5. A group of people working as equals in the same sphere or field: the republic of letters. Many people cannot see much difference between a republic and a democracy, and they shouldn’t, because in many ways they are both the same. But people’s understanding over the last 200 years in America of what both a democracy and a republic are has been diminished considerably. Actually both forms of government have been practiced for thousands of years, particularly by the Romans and in England and other European countries. If democracy to you means freedom—freedom of speech, freedom of religion, freedom of the right to an education, freedom of free healthcare, freedom of no discrimination of color on jobs—then the truth of the matter is we have partial freedom in the United States, and we have partial democracy. In a republic, if the president gets too much power, then he can become a dictator. But our president is not thought of as a dictator. Countries that have in the past had a line of royalty and a monarch put all the power of decision into the hands of that monarch, supreme authority. That works if the monarch, king or queen, are truly men and women of God. But here on this planet, even men and women of God have made tremendous errors in thinking, because they have followed doctrines of man and have not been old-enough souls to know the difference between man’s doctrines and God’s truths. The monarchy of England is not as powerful anymore since the Parliament was adopted by Oliver Cromwell in the mid-1600s. The truth of the matter is that there is no real democracy in any country on the planet, for people are not free in many areas of their lives with the kind of freedom that God would intend for all citizens. Canada, France, and even Cuba may be even more democratic than America, because they have free healthcare for their people. The House of Representatives and the Senate, if the majority are of the opposite party, can keep our President in line so he can never become a dictator. However, they can also hinder the president’s leadership and service to the people. Sometimes they keep him too much in line, where his office becomes worthless if he is not bold enough to come against them instead of compromising. And compromise seems to be the name of the game in politics, particularly when the rich run the country today and Wall Street is actually the monarchy of old. No, only in a Divine Administration—with true godly leaders—will democracy and a republic be actually run perfectly, as the Constitutional forefathers of America had vision of. 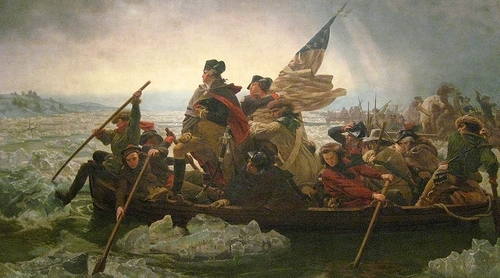 The founders of the Constitution had experienced much of what is wrong with other forms of government in Europe and were more idealistic when they tried to write a constitution “for the people, of the people, and by the people,” knowing full well that men of high moral standards (and hopefully men of God) could only implement such a government. There were signs in the very early presidencies of America that the corporations—in the form of railroads and mines—were already lobbying and getting too much power in many states, affecting the whole country. Only when Jesus Christ (also known by Urantia Book readers as Jesus Christ Michael) returns to this planet and appoints godly leaders—who are well-balanced in their consciousness and experience—will true democracy be implemented. They cannot be voted into office, for on this planet the mass consciousness of the fallen mind produces religious bigotry, dogmatism, fundamentalism, and often the majority can elect narrow-minded political leaders, who come in the name of God (and in their own way they believe they are) but are very far from the kind of men and women of God who Jesus Christ Michael will appoint as political leaders. Men who claim to be godly men in our House and Senate are actually new souls, who have no experience in government and the management of people. The starseed will be more experienced to rule over humanity. President Obama is such a starseed, but he is boxed in within a new-soul House of Representatives. New souls vote other new souls into office. And new souls may not be the majority anymore in the population, but they are the majority of people who vote. Other Christian fundamentalists who are running for the Presidency, if elected, would be just like a Bush presidency, perhaps even worse, for it seems that fundamentalist thinking of the Tea Party will put our nation further at odds with its own people. What is actually not understood is that we have hundreds of millions of starseed in America over the age of 21, and it is these starseed who put Obama in office. They also put John F. Kennedy in office. Most of the time, however, they do not even vote, because they don’t identify or see a leader worth putting into office. If Obama hasn’t lost the confidence of these starseed, he most likely will win another term. However, the American people, of course, have to come out and vote for Democratic appointees to House and the Senate. With most starseed, you are lucky if you get them to vote once for the Presidency. Very few of them will come out to vote for House or Senate appointees. New souls enjoy living at the voter polls. They volunteer; they wear funny hats; they wave flags. But the starseed are doing everything they can to avoid those kinds of things. Most likely, you will find them in more artistic parts of town, at music festivals, doing activism, or trying to numb their minds (over the insanity of the political system and injustices) with alcohol and drugs. There is definitely too much compromise in Congress, because the two-party system in America no longer works. A three-party system would be worse, so there is only two answers. If you are going to put a President in office you have to give him or her a Congress of the same party, or, like I said previously, Jesus Christ Michael has to return and He will appoint His appointees and there will be no parties, just a Divine Administration of godly men and women, cooperating together to bring a Spiritualution—a spiritual revolution (not the continuation of religious thinking)—and true justice to the people, for there is a difference between true spirituality and religiosity. To learn more about true spirituality (as opposed to being religious), see Paper 210 of The Cosmic Family, Volume I by Gabriel of Urantia. Gabriel of Urantia is the author of several books: The Divine New Order; The Cosmic Family, Volume I and Volume II; and The Best of the Film Industry. He is also Co-founder of Global Community Communications Alliance and Avalon Organic Gardens & EcoVillage.